By 1968, the area was all heavily wooded and in pretty much the same condition as today (see Map 8). The three tower blocks of nurses housing on Restell Close had been built to the north in the early 1960s (in 2007 two of these blocks, Jenner and Lister Houses, were demolished and had the Seren Park development put in their place, and the third block, Norfolk House, was reclad and renamed Leamington Court). 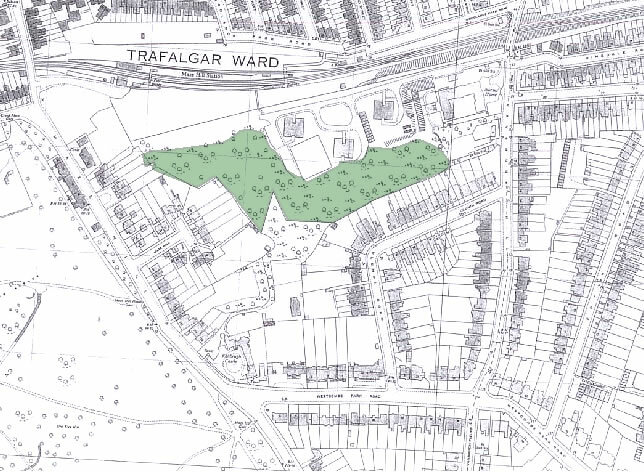 The three tower blocks of Tom Smith Close to the north-west (shown in Map 9) would be built later, towards the end of the 1970s, and in 1982 the land now known as the Westcombe Woodlands was sold by the Regional Health Authority to the Blackheath Preservation Trust, which acquired it to prevent any development. Map 8 1968: Woodlands and Maze Hill House have disappeared, with their formal gardens now partly covered by the Woodlands Nurses Home and new houses on Maze Hill respectively. Three modern tower blocks of nurses’ housing have been built on Restell Close. The Westcombe Woodlands are now cut off from surrounding roads and are going back to the wild. Please note the green shaded area shows the current boundaries of the Westcombe Woodlands. Map 9 1991: Tom Smith Close now also has three tower blocks of its own. New houses on Lasseter Place are about to be built, just off the map to the right. 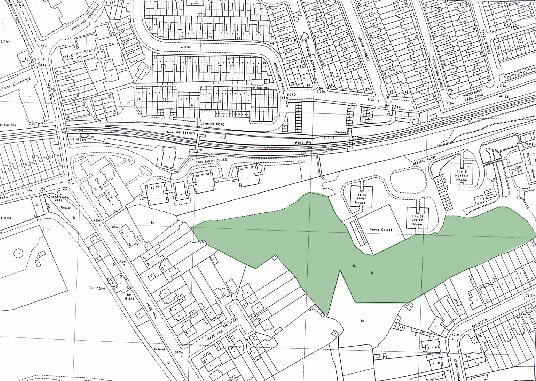 Please note the green shaded area shows the current boundaries of the Westcombe Woodlands. In the 1990s, six modern houses were built on Lasseter Place, a new cul de sac running to the site of the former lodge of Woodlands (now 31 Vanbrugh Hill). The Authority retained not only the ground for Lasseter Place but also a small strip of land immediately south of Tom Smith Close. For many years the wooded areas were not actively managed by the Trust, and were deliberately allowed to grow wild. Self-seeded sycamore, with ivy, periwinkle and privet – spreading from the gardens and smallholdings that had previously been on the site – now dominate the natural species like oak, ash and beech that otherwise would prosper. With thanks to Neil Rhind for his advice on the first draft of this history, and the Heritage Centre at the Royal Borough of Greenwich, who provided access to the maps.